All Bamigo amigos are crazy about Bamigo underwear. And that makes sense! 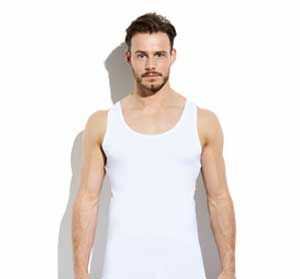 Because our underwear is made from bamboo, it has many advantages compared to ordinary underwear. 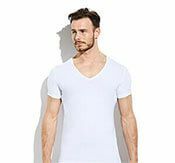 Amigos here at Bamigo have paid extra attention to a high quality finish and superb comfort when designing our T-shirts, boxer shorts and socks for you. When you wear Bamigo, it will feel like a second skin. Our underwear always feels like the perfect fit. Our T-shirts are up to 10cm longer so they stay tucked into your trousers perfectly and can be easily worn underneath a shirt or jumper. Wearing bamboo clothing has many other advantages. 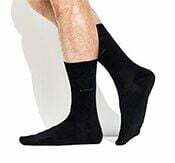 Our T-shirts boxer shorts and socks are anti-sweat so you will never again have to walk around with sweat stains underneath your armpits. You will never have to check in the mirror again whether you're still looking fresh. Bamigo will take care of that! How is that possible? Bamboo is up to 70% more absorbent than cotton and has anti-allergenic properties. So it won't retain nasty odours, which means you can walk around all day nice, dry and fresh. That's our slogan and we're proud of it. Have you noticed the double meaning? Keep Cool! We'll share it with you! Literally, it refers to bamboo's anti-sweat properties, whilst the phrase also means 'no worries'. That can't be a coincidence, right? When you wear Bamigo underwear you don't have to worry, because sweat stains will be a thing of the past!